So this is the second instalment from the coffees @SocialCoffeeCo sent. You can see the Bolivia Cima del Jaguar Organic here and the initial preview here (explaining my emails with Steve at Social). This is another single origin espresso, but did it ever shock me how much I was able to find in this coffee. I must make a disclaimer that this really struck a cord with me: a huge berry bomb with lots going on (which I love). 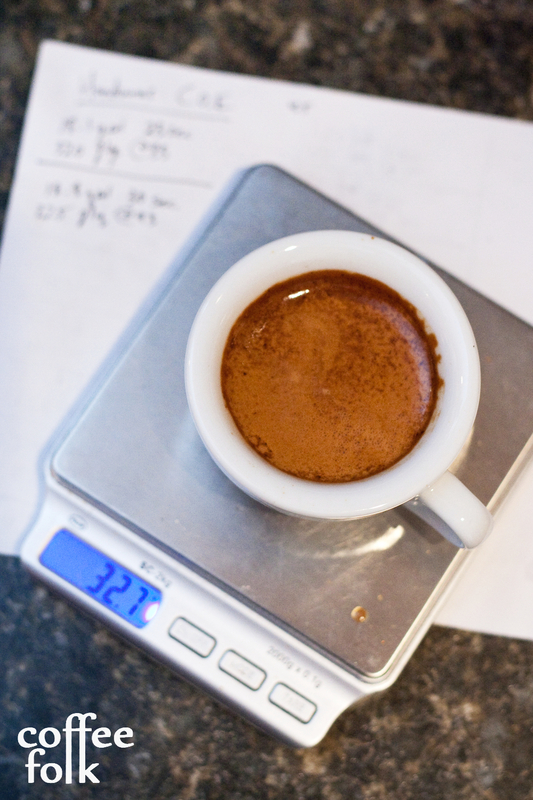 Began with the usual baseline with this espresso (94 degrees Celsius, 19grams). First shots were good, but slight tweaking was necessary. I was finding the best flavours at 93 degrees Celsius. The dose seemed to work best at 18.5-19.0 grams, with a final liquid weight of ~32-34 grams and total shot length of 28-29 seconds was ideal. Keep reading for details. Going to recommend this one at 93 degrees Celsius, it really sang at this temperature. The dry aroma once ground was jam-like and orange marmalade. Pulled as espresso @ 93 degrees Celsius: berry bomb! Raspberry, grapefruit-like acidity, sweetness, and a strawberry like play going on near the middle of the shot. 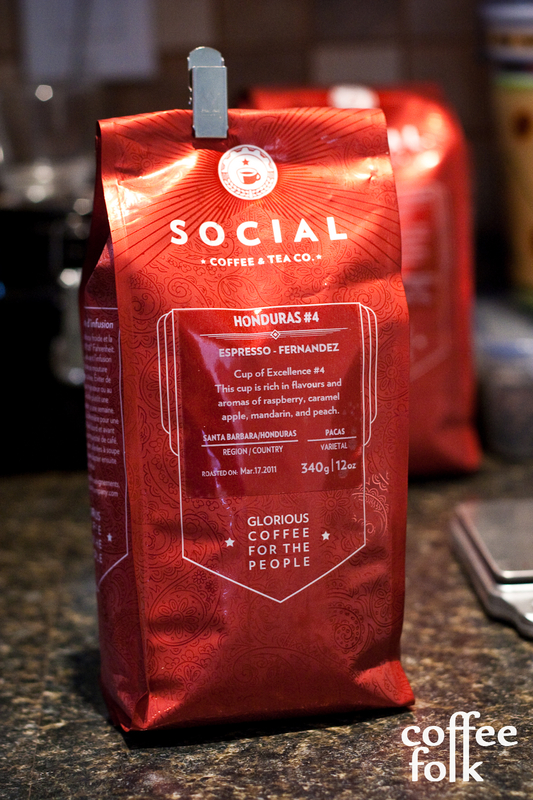 Honduras Finca Fernanez COE#4 in the cup. This was a delicious espresso. Really enjoyable straight with easy berry notes. I almost felt as if it was a shame to hit this coffee with milk, but the results were pleasing. The berry was coming through (though less distinguished), milk chocolatey notes, and some apricot play. The americano was also great. It was really juicy, sweet and had some notes of strawberry jam. This had a great complexity and is one of my favourite Single Origins to date. It really was tasty, and was a great beginning to the spring season and helped draw me closer to summer. All in all, another great single origin espresso. I’ve been really loving Social Coffee. Final score for this coffee… a massive 92/ 100. Clear winner, highly recommended.